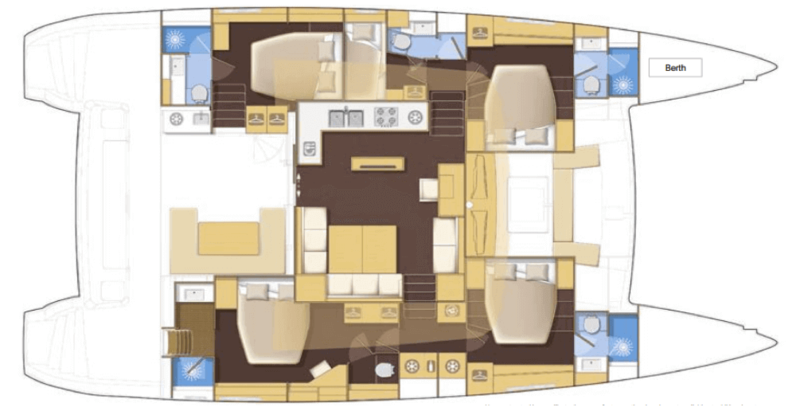 The Lagoon 560 is a dreamy yacht possessing the perfect alliance of innovation and luxury. 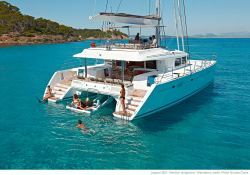 This catamaran is a remarkable yacht of highest qualities. On board you can discover an idyllic setting for a sail with exceptional crew. 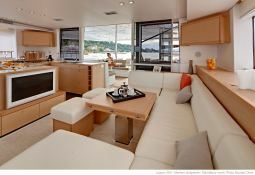 She has 4 double cabins with their private bathroom, a spacious indoor lounge with 360 ° vision on the outside. The Lagoon 560 is able to accommodate up to 10 passengers on board to explore the Adriatic Sea in Dalmatia and the Kornati .. This catamaran can reach a speed of 10.0 knots and is equipped with a magnificent galley, watermaker, generator, kayak, fishing equipment, CD and DVD. 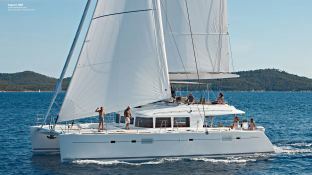 Chartering in Croatia can offer the best experience in sailing areas along the coast of the Adriatic Sea such as around Split, Zadar, Pula or Dubrovnik. Croatia has architectural wonders classified as World Heritage by UNESCO as magnificent landscapes as well as those of the Kornati Archipelago. Whether with family or friends - a sailboat charter in Croatia is a unique experience in a cruise life. 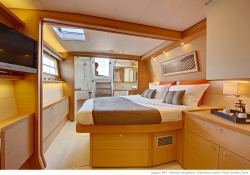 This crewed catamaran is available for yacht charter with a base price of 13 000 € (approximatly 14 661 $).